What is the best grass seed? The seed is one of the miracles of nature and it represents both the completion and the beginning of the plant reproductive cycle. In simple terms it is the ripened, fertilised, ovule of a flowering plant carrying an embryo complete with a full DNA set capable of germination and growth into a new plant. On a day to day basis, seeds are an essential feature of our lives. We eat them as they are or process them to produce products such as flour. The fruits and vegetables in our diets almost invariably consist of seeds or plants grown from seeds and those who choose to eat meat can be sure that sure that seeds have still played a major part in meat production a little earlier in the food chain.The plants grown, especially those for food, change from year to year and so many older species which have gone out of favour can easily be lost forever due to a break in the reproductive cycle and without seeds, there can be no going back. Governments around the world have now come to appreciate the importance of seeds and seed preservation. In the UK, the Millennium Seed Bank Project was started at Kew in 2000 in order to safeguard all British seeds and similar seed banks have appeared all over the world, there currently being approximately 1,500 in existence. One of the most ambitious is the Svalbard Global Seed Vault which is regarded as being a Noah’s Ark for the whole of the world’s seeds and has been built deep into a mountain in the Svalbard archipelago in the far north of Norway well inside the Arctic circle. This natural deep-freeze has been designed to withstand the effects of wars, natural disasters and climate change and should ensure the survival of seeds for many thousands of years. be returned to storage. The reasons for this type of seed regeneration are fairly obvious and even the most novice gardener knows to check his seed packets for the ‘Sow Before’ dates. It is well known that the vitality and vigour of seeds decreases over a period of time and even in the highly controlled environment of a seed bank, routine tests are usually carried out to monitor viability levels of seeds to establish when regeneration may be required. Regeneration of seeds may also be undertaken simply to increase the quantity of seed being held or as part of an active programme of plant cultivation. Although the principle of taking stored seed to grow into new seed may seem simple, it must be remembered that many of the seeds being conserved are genetically rare and any genetic contamination due to out-crossing must be carefully considered, with the original seed being retained for line-breeding back to the original type every few generations. The methods employed for successful seed regeneration depend on the type of plant being grown but in general terms, care should be taken to minimise the processes of natural selection particularly at the pollination stage. As with all plant growing, the best results are obtained by sowing the seeds in their natural habitat or failing that, to take steps to mimic such a habitat. Soil types, water and humidity, temperature and light are obvious considerations. Some seeds will also need to break their period of dormancy such as by the artificial wintering, or stratification, of some tree species. The other main concept of regeneration is the process of reinstating an area of land to its former condition following damage caused for example by industrial processes. It would be wonderful if we could simply sprinkle a few wild flower seeds over a former industrial wasteland and watch it bloom into a beautiful and natural ecosystem but unfortunately things are never that simple. Leaving such sites to their own devices will allow natural selection to take place and eventually some plant and animal species will be successful while others will fail. Such an approach may have some merits but the whole purpose of regeneration is to restore the site to the same condition it was in prior to its degradation. The selection of suitable species is an important consideration along with the physical remodelling and repair of the terrain. By far the best way to manage the planting is refer either to the species originally present or to compare the site to another similar local area and note which plant species are present. Suitable seeds can then be selected in the full knowledge that they should grow successfully in this location. Once fully mature, a natural balance will occur but in the early stages some intervention will be required to prevent the more dominant plants from out-competing the less dominant and steps will almost always be needed to prevent damage caused by grazing rabbits and deer. In some cases, invasive species such as rhododendrons or Japanese knot-weed will need to be eradicated as they can seriously affect plant and animal diversity. There can surely be no more important seeds than those used in agriculture. These form the basis of almost all of our food. All of today’s food crops have very long histories with plant varieties having been steadily improved both in terms of yields and flavours over many years. Some have changed almost beyond recognition and, for example, modern cereal crops bear little resemblance to their grass-like ancestors. The quality of agricultural seeds is strictly controlled and regulated with government departments ensuring that any risks from diseases and pests are minimised and all imports and exports of seeds and other plant materials are subject to careful scrutiny often requiringphyto-sanitary certification to confirm their suitability. There are many suppliers of seeds for the farming industry but most farmers realise that many factors influence the choice of seed. The precise chemical make-up of the field to be planted needs to be frequently tested and, if necessary, soil improvement techniques may need to be carried out. The days of widespread routine applications of nitrates to arable land are now far behind us and most farmers now take a much more considered view about crop maximisation. Some soil types are particularly suited to certain crops and within each crop type, varieties are available to give the best possible results in any given situation. Farming is of course a highly mechanised industry and agricultural seeds, by necessity, need to be capable of being sown mechanically which gave rise to some of the very small seed types being given a soluble coating forming easily handled pellets. Cost is a major factor but in some cases the most expensive seeds can prove to be the most cost-effective. Most gardeners are familiar with the ‘F1’ label which seems to be found on some of the priciest seeds but few know that it is actually an abbreviation for the term: filial1 hybrid. 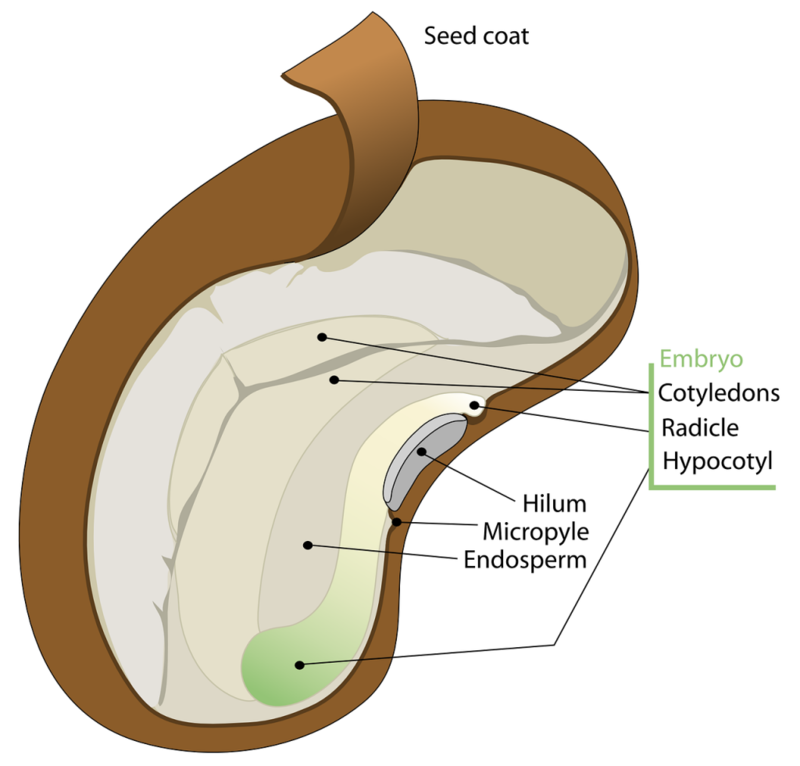 In plant breeding terms this means that, rather than being the result of years of selective breeding of a particular genetic line, these seeds come from two related but separately developed lines which have then been cross-pollinated, usually by hand to produce a hybrid variety carrying desirable traits from each of the parent plants. The idea of hybrid vigour is well established and such plants tend to show strong growth and disease resistance characteristics and the most successful F1 plants display the best characteristics from each of the breeding lines. The disadvantages of using F1 seeds are firstly that their method of production is labour intensive and expensive and also these hybrids cannot reliably be used as a future source of seeds. The reason for this is that the physical characteristics of the plant (phenotype) are predictable but the underlying genetic code (genotype) is far from fixed containing a great deal of variety. This plant is a mongrel rather than a pedigree! It is strange but most people do not give a second thought to types of grass. In our garden, grass is simply the bit that fills in the space between our proper plants. In sport we might play on it and on farms animals eat it but there is a huge variety of different grasses each with its own individual characteristics. Many of the wild species remain truly wild with no seeds generally on offer for sale whereas grass seeds for garden lawns can be found everywhere. Starting with our garden lawn, most seed on offer will be a mixture of some of the most popular varieties. Those most commonly encountered are common bent, smooth-stalked meadow-grass, red fescue, slender creeping red fescue and dwarf perennial ryegrass. Gardeners looking for a luxury small leafed lawn can opt for a mixture without the rather coarse ryegrass. On the farm priorities are rather different and grass is usually grown as a crop for cutting, for grazing or both. Strong growth and high yields take preference over neatness. The grass most commonly found in agriculture is perennial ryegrass which, as its name suggests is a perennial plant which will survive for several years before needing re-seeding. It is fast growing and has fairly large coarse leaves and fleshy stems. From an animal nutrition point of view, it has a high sugar yield and it is excellent for cutting for silage or hay and for grazing. Other types of ryegrass include Italian ryegrass and Westerwold ryegrass which have similar properties to the perennial variety but slightly shorter longevity. They are however faster to establish. A hybrid ryegrass variety is also available being a cross of the Italian and perennial varieties. Sometimes clovers are included as useful animal feed along with Timothy and cocksfoot grass species which are deep rooting with excellent drought resistance. In practice, most agricultural grass seed supplies will consist of a mixture of these main types, possibly with a few others mixed in. Meadow flowers may also be present. There is an ever increasing interest in encouraging wildlife and the planting of native wild grass species is a wonderful way of attracting a range of insects and birds. The seed of many wild species is now harvested to allow for a truly natural wildlife haven. In addition to the commonly encountered farm and garden varieties, seeds are now offered from such whimsically named plants as: smaller cat’s tail, yellow oat grass, crested hair grass, crested dog’s tail,quaking grass, downy oat grass, sheep’s fescue, marsh foxtail,sweet vernal grass and many, many more. Greenhouses (read about the history of the greenhouse) allow gardeners and commercial growers huge advantages in raising plants due to having a controlled environment which not only provides protection from the worst of the weather but which also extends the growing season or can even be used on a year-round basis. The great thing about greenhouses is that their use can be modified to suit many different types of plant rearing from a semi-arid environment suitable for cacti and succulents to a hot and steamy home for orchids. Most people however tend to simply use their greenhouses for starting of seeds and growing a few food crops that would be unreliable outdoors. Strangely most people seem to dedicate their greenhouses to tomatoes which seems to be rather a waste of valuable space as tomatoes are by no means an easy crop to grow successfully and the crop has little pecuniary value. Some excellent tomato seed varieties are available however including F1 hybrid varieties offering improved resistance to common tomato problems such as leaf mould, greenback and viruses. Cucumbers are also a good choice for the greenhouse and once again F1 hybrids are available and have certain advantages such as only bearing female flowers but they have a tendency to have smaller fruits than the traditional ordinary varieties and they need a higher temperature so, for an unheated greenhouse, the ordinary varieties are probably still the best bet. Aubergines are fun to grow and really no more difficult to grow than tomatoes but the seeds really need starting off indoors early in the year. Peppers and chillies are another great greenhouse crop which again need an early start. Some excellent F1 varieties are to be found but, for some reason, home grown peppers seldom have such a regular shape as their shop-bought counterparts. More exotic crops can also be grown such as melons, okra and sweet potatoes but the latter can be a very untidy plant taking up a lot of space. Sweet potatoes are also very difficult to start and the best way is to purchase small pieces of sprouted skin which, although technically not a seed, is offered by some seed companies. The other uses of the greenhouse include giving a flying start to some outdoor plants such as French beans, sweet-corn and herbs. Having identified the best greenhouse seeds you will probably want to know which are the best greenhouses. The poly-tunnel allows for an even greater choice as everything that can be grown out of doors can be grown here, plus a few others. Looking though the packets of seeds on display in the shops, there is one type of seed which is never offered. Tree seeds are widely regarded as being so difficult to grow that this should really be left to the experts. 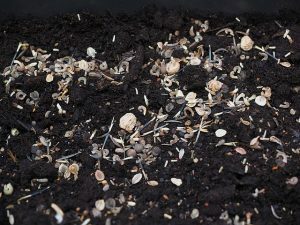 In actual fact, it is perfectly possible to start off many species of tree from seed but it is important to realise that successful germination and growing-on are much more difficult than simply sprinkling a few lettuce seeds in a seed bed. The main problem with tree seeds is the fact that they almost always have a built-in period of dormancy. In some leguminous tree seeds this is simply achieved by means of a hard outer coat which the tree propagator has to physically break into and in others the seed is genetically programmed not to germinate until certain conditions have been satisfied. 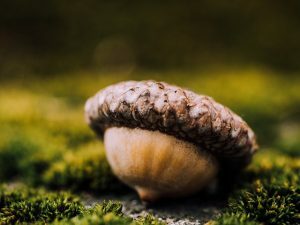 Unlike most seeds which simply need ideal growing conditions in terms of moisture, temperature and light, trees have evolved not to be tricked into germinating too early and require a period of over-wintering before they are ready to emerge. Some tree seeds even need to survive for two winters before germinating. In tree raising circles, this dormancy is usually dealt with by a process known as stratification in which the seeds are simply placed in a refrigerator for a set period of time before being taken out in the belief that spring has arrived! The problems with this whole process are that the stratification process is by no means fixed. Different species have different requirements and even the same species or same tree may need different stratification times in different years. With so many uncertainties, it can be seen that raising trees from seeds can be one of the most challenging and the most gratifying of gardening tasks. With such a high failure rate it is easy to see why these seeds are never offered for sale in the shops. The seeds themselves come in an amazing range of sizes and types with dispersal being achieved by wind, water, animals and birds. Some, such as the oak and horse chestnut simply rely on gravity. So we live in a world full of seeds. Without them mankind would not exist. A world without seeds would be a strange place indeed. There would still be some form of life … but not as we know it! Thankfully seeds are here to stay. They have existed for millions of years before the emergence of man and will doubtless still be around long after our departure. Long live seeds!